There are footnotes to history and there are chapters. Dependent on your perspective, sometimes those footnotes deserve a book unto themselves. As the economy sagged in the seventies, railroads were hit hard. The East saw a general collapse in the form of Penn Central. As the seventies wore on, the PC would be combined with several other bankrupt roads to form Conrail, a government backed corporation who's sole goal was to save rail transportation in the eastern half of the country. Collapse worked its way through the western lines during these years as well. The Milwaukee Road pulled out of the West just over 30 years ago at the beginning of March. 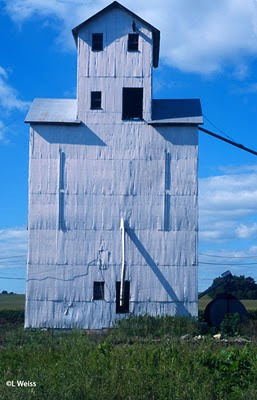 Bankrupt and reeling, its retreat to the Midwest would last only a few more years until its absorption by Soo Line. Its competitors in the West and Northwest managed to hang on, but healthy balance sheets were not to be found in the board rooms of the Cascade Green lines in those years. It was the electric motors on the Milwaukee Road's Lines West that received them: those beautiful quad headlights. The original lamps that adorned the famous electrics, from the Bi-Polars to the Little Joes, seemed average enough. 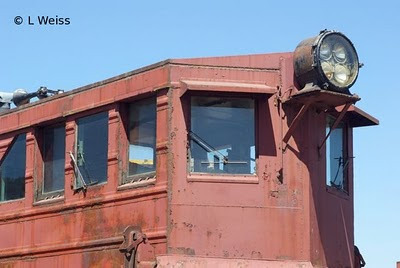 Pictures posted across various pages on the internet show a single headlight centered in a larger reflective housing, just like the steamers and diesels of the same era. Somewhere along the way, however, during the rebuilding that kept those electrics in service for decades and decades, a modification was made. A 4 sealed beam headlight was installed, making the electrics instantly identifiable. Even the Little Joes received them, and their slightly smaller headlight housing made them all the more distinctive. The photo of the Joe shows the quad light arrangement, slightly truncated on the edges.